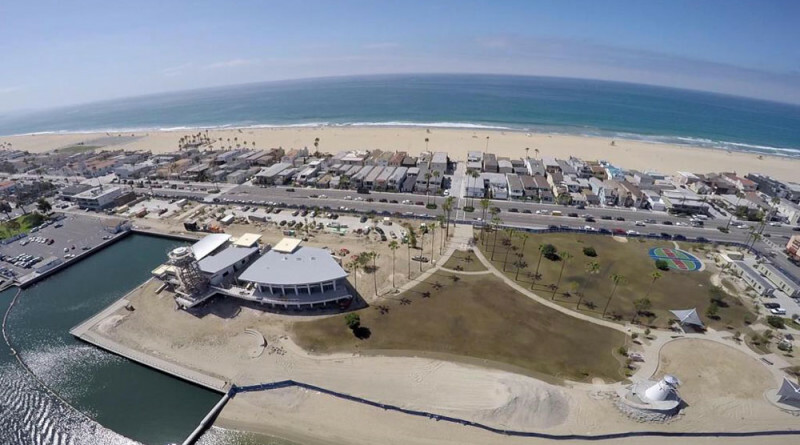 NEWPORT BEACH — A new public park with a nautical-themed playground and a visitor-serving marina is set to be christened in Newport Beach next month. Marina Park will open to the public after years of planning and millions of dollars of expenditures during a grand opening ceremony scheduled for Dec. 5. Boaters will be able to visit Marina Park by docking at one of its 23 transient slips. Also available for visiting boaters will be in-slip pumpout stations. The 10.5-acre public park will also feature a pair of multi-purpose buildings, outdoor fitness circuit, basketball courts, play area, picnic space, laundry, shower, instructional sailing basin, Girl Scout Leadership Center and restaurant. Newport Beach’s City Council approved a series of provisions governing parking for the new waterfront venue, including hours and permitting process, at its Nov. 10 meeting. Parking lot hours were set from 6 a.m. to midnight daily. Overnight slip renters and those participating in Girl Scout events at the park between midnight and 6 a.m. must obtain a 24-hour parking permit. The permit would cost $21; slip renters would be provided one 24-hour parking permit for free with a paid daily slip. Up to 389 parking spaces would be available in the West, Main and East parking lots and on 15th Street, 18th Street, W. Bay Avenue and portions of W. Balboa Boulevard. City staff stated parking is required for Marina Park’s general visitors, sailing program participants, Girl Scouts and Girl Scout volunteers, restaurant patrons, slip renters, recreation class participants and special events. Newport Beach anticipates receiving $114,000 to $172,000 annually from annual parking permit purchases made by Marina Park visitors. Marina Park is located at 1600 W. Balboa Boulevard. Additional coverage of Marina Park’s opening will be provided after the Dec. 5 christening.